Copyright © 2017 Marjorie Leggitt/Botanical Interests, Inc.. This image is available for reuse purchase. Marjorie Leggitt DescriptionArtwork created for Botanical Interests® seed packet covers. 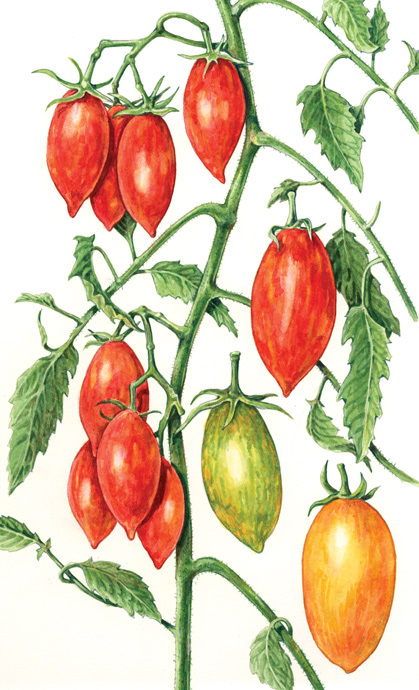 Watercolor art created using real tomatoes for reference.